We are finding that more and more casinos are offering their players weekly cashback bonus offers. In many cases, a cashback casino bonus is not advertised as a welcome bonus for new players. However they can often offer more value to regular players over a longer period of time. In some rare cases, you may find that a casino does not offer a welcome bonus for new players, just a cashback bonus. Why Are Cashback Bonuses Good? These schemes are mostly favoured by VIP Casinos and high rollers because they offer a sort of insurance policy against big losses. Let’s face it, you don’t always win when playing at a casino. So whilst these offers they may not be able to re-coop all your losses, they do offer some money back rather than loosing it all. How Do Cashback Casino Bonuses Work? There’s 2 main types of cashback bonus. 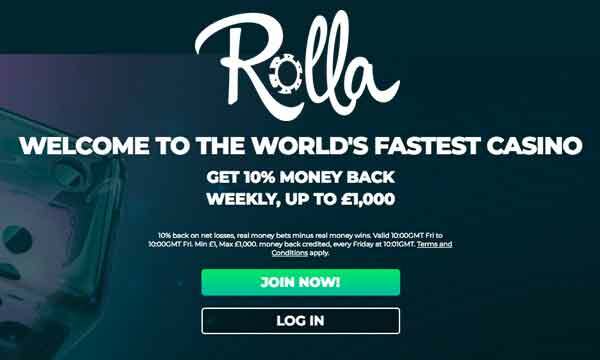 Most commonly used by online casinos, this type of cashback bonus takes into account your deposits and net losses over a period of a week and refunds a percentage of this figure back into your account balance. Typically they will be advertised as between 10% and 25% cashback available. Slightly more rare, but these cashback offers are great if you can find them. Instead of recouping funds on your net losses, you will actually get cashback based on the amount you bet / wager / turnover. So even if you have played for a period of time, made lots of bets and ended up where you started or even ahead, you will still be awarded a cashback bonus. Typically you will see these deals offered in the region of approx 2% to 5%. Although the percentage is less than a Net Loss deal, there rewards can be greater. The great thing about Cashback Casino Offers is that they nearly always have no wagering requirements attached to them. So you can decide to continue playing with the funds or withdraw them directly to your account. 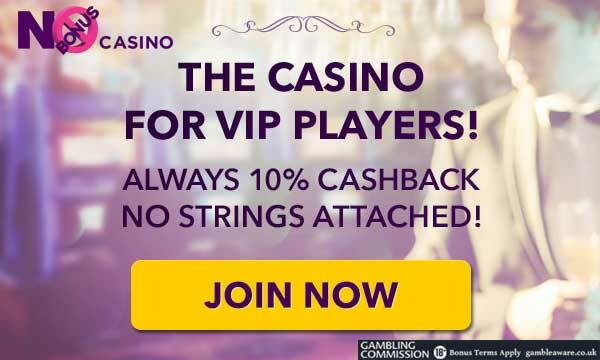 To claim in the Cashback scheme, usually a player must ‘opt-in’. This is no big deal. Unless instructed otherwise, head to the promotions page and select ‘Opt In’ and you’re ready to go. So we have created a list of all the best Cash Back Casinos below. Take a look and pick the one you like the look of. Good Luck and begambleaware. 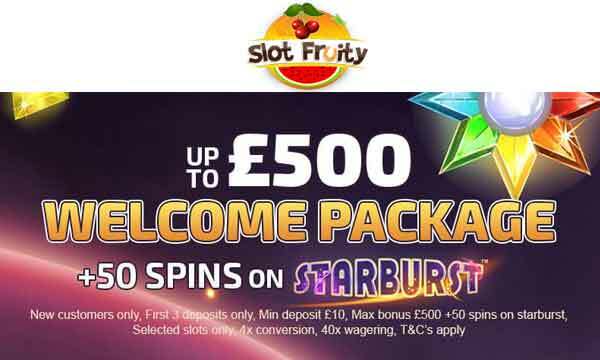 Get A 200% Casino Bonus & 50 Bonus Spins On Starburst With The Slot Fruity Welcome Package! All newly registered players are eligible to claim the Slot Fruity Casino Bonus. 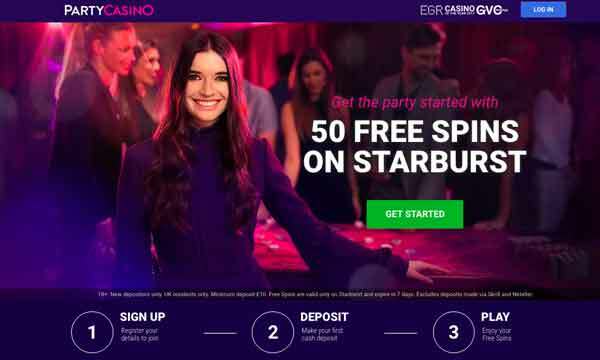 You can triple your first deposit with a 200% Bonus and get 50 Bonus spins on Starburst. Plus there are bonuses on your 2nd and 3rd deposits. 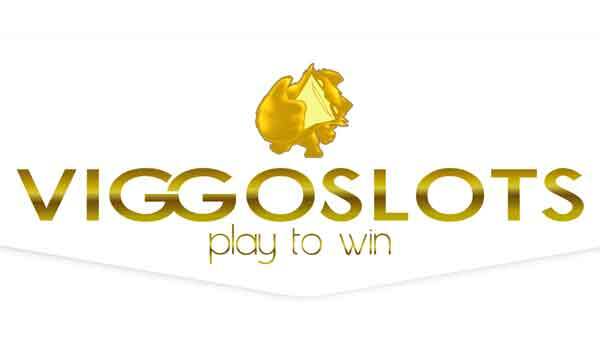 Plus there’s lost of other great bonuses for existing players, such as weekly casino cashback bonuses. 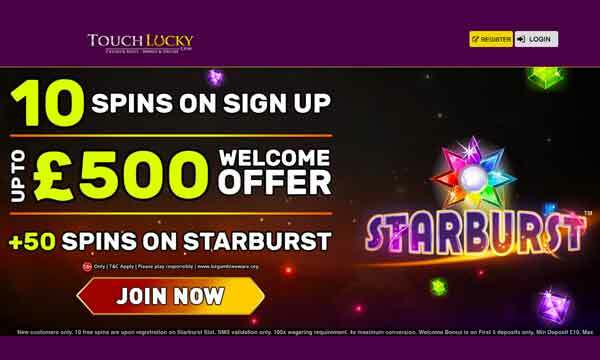 Claim 10 No Deposit Spins + 200% Welcome Package & 50 Starburst Spins At Touch Lucky! Get started with a bang at Touch Lucky. You can claim 10 no deposit spins on Starburst when you register. 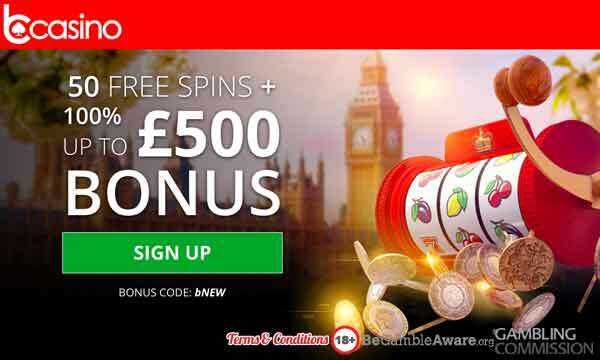 Plus with the full Touch Lucky Casino Bonus you’ll get £500 in bonus cash (which includes a 200% bonus on 1st deposit) and another 50 Bonus Spins on Starburst. You can also get 10% a Cashback Bonus every Thursday! 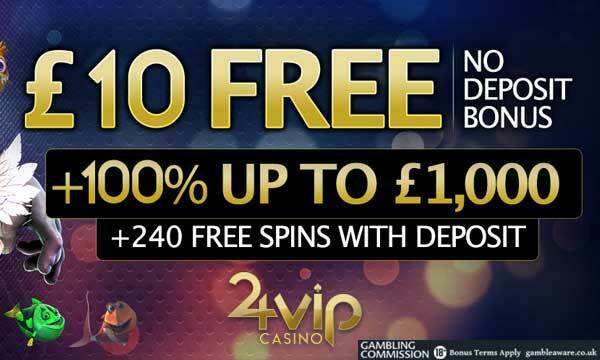 Deposit £10 And Get 50 Low Wager Free Spins With The Party Casino Bonus! All new players making their first deposit can claim the Party Casino Bonus. 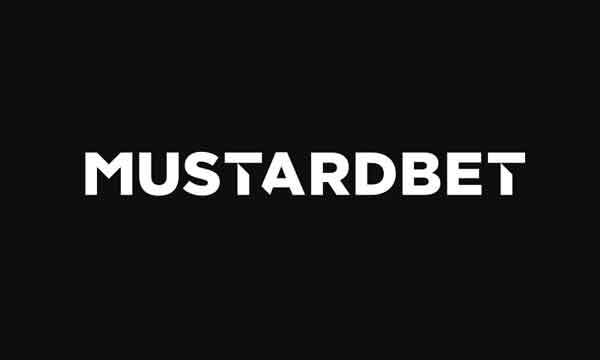 Get the party started and claim 50 low wager free spins on Starburst when you make your first deposit of £10 or more. 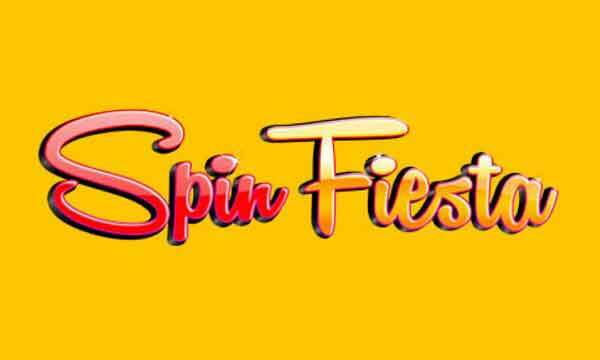 Get a 23 No Deposit Spins On Registration + 77 Extra Spins & 100% Refund Bonus On First Deposit At Yeti Casino! The Yeti Casino Bonus welcomes newly registered players with 23 no deposit spins to play on Starburst or Joker Pro. 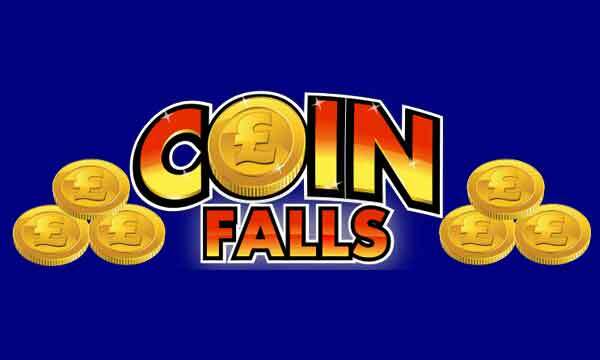 Plus on your first deposit there is another 77 extra spins up for grabs and a 100% refund bonus up to £111 if you lose your deposit! 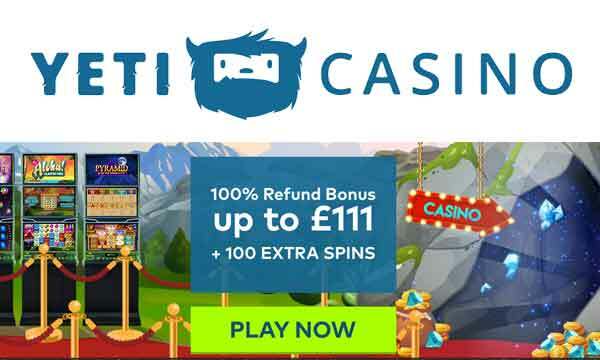 Double Your First Deposit or Claim 10% Cash Back At Codeta Casino! 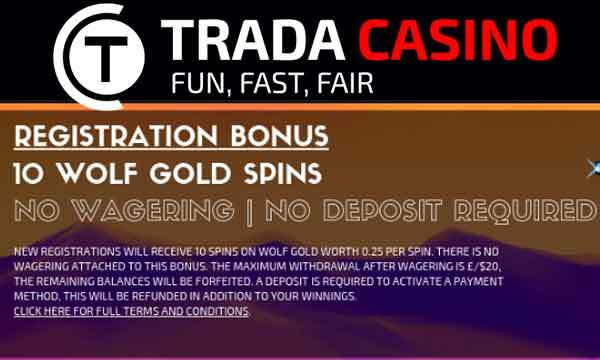 Whilst there is a large and diverse range of slots, it is all about the live casino games at Codeta Casino. 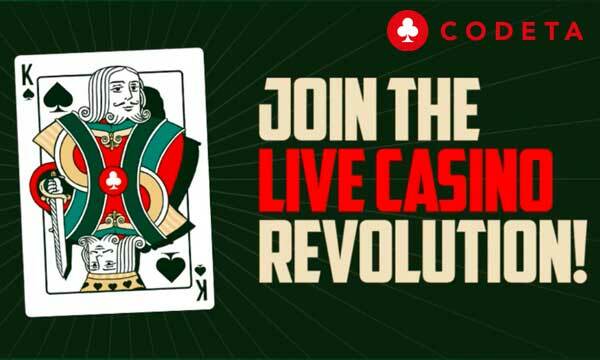 Join the Live Casino Revolution! When you do you can either double your first deposit or get 10% cash back. 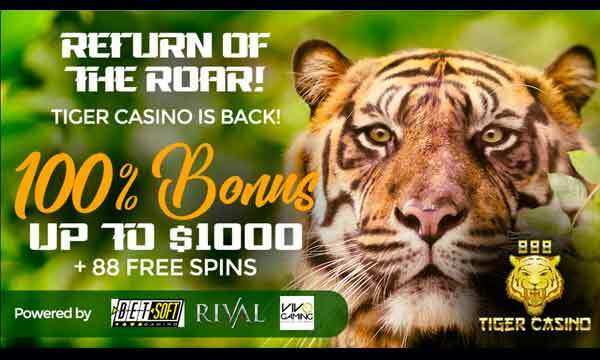 Get 10% Cash Back With No Wagering Requirements At No Bonus Casino! 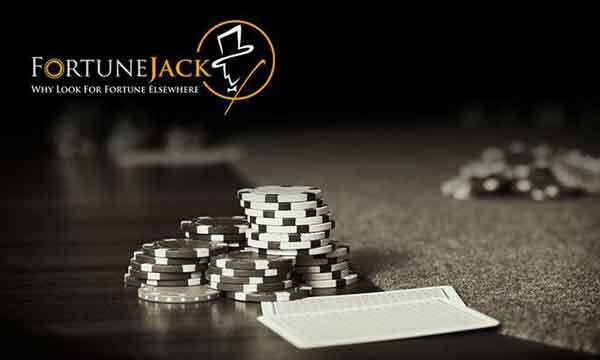 Whilst there is no welcome bonus for new players at No Bonus Casino, all players receive 10% cash back on their lost funds every day. This cash back carries no wagering requirements, so you are free to do what you like with it.